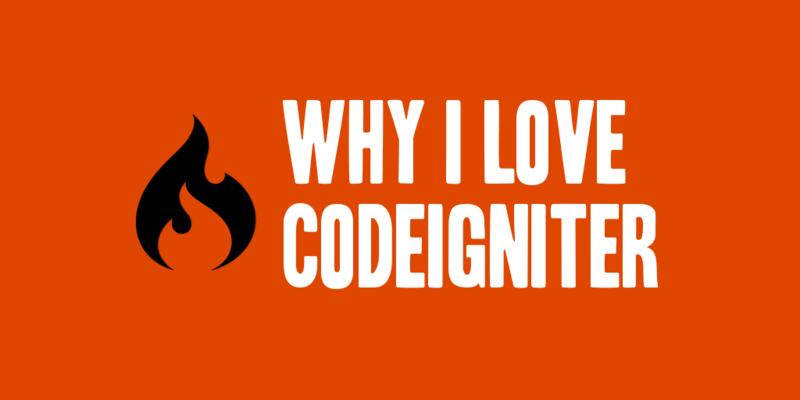 I have looked at and used a lot of different PHP frameworks over the years for work and freelance projects, ranging from CakePHP to Zend, but I never truly enjoyed working within any of them until I discovered CodeIgniter. I have been using CodeIgniter since its early versions, and have seen the framework grow and progress, and I still enjoying using it as much as when I discovered it. Its goal is to enable you to develop projects much faster than you could if you were writing code from scratch, by providing a rich set of libraries for commonly needed tasks, as well as a simple interface and logical structure to access these libraries. CodeIgniter lets you creatively focus on your project by minimizing the amount of code needed for a given task. You’ll find various posts, projects and web sites that I’ve implemented based in and around CodeIgniter throughout this web site. If you have any questions, I encourage you to comment, or contact me directly. I’d love to help in ways that I can. To those that haven’t experienced, or played with CI, I encourage you to check it out at CodeIgniter.com. You can also find the user guide, and complete documentation of the framework here.